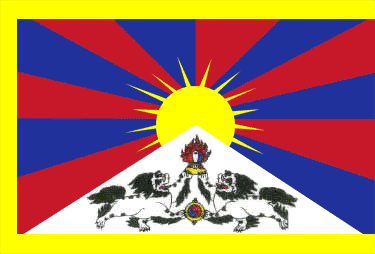 It has recently become a way for Tibetans to acquire a passport by joining an organised tour group to Thailand. Once the passport is issued for travel, it is valid for ten years. 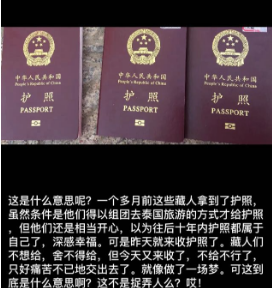 The first post translated below has been circulated widely amongst Tibetans on WeChat since 13 November 2016, and both raises legal awareness and gives advice to Tibetans who might be coerced by officials to surrender their passports. The timing of these passport confiscations also coincides with Tibetans preparing to travel to India for the Kalachakra teachings given by the Dalai Lama in January 2017. Upon hearing about these incidents, Tibetan writer and poet Woeser also wrote a short post on WeChat which is translated below. It has been well publicised that Woeser has been unsuccessful in applying for a Chinese passport and even tried to sue the Chinese government in 2008 for violating her rights. Another Tibetan writer Pema Norzin also posted about this issue last year on social media. For more on Tibetans and issues with passports in PRC, see this Human Rights Watch report and this International Campaign for Tibet report, both from 2015. Under the one country with two systems, Tibetans and Uyghurs so far have never been issued passports to travel outside with. This year, many Tibetans obtained passports through travel agencies so they could travel to Thailand. From this month onwards, not only is the issuing of passports being stopped all over Qinghai Province, all the passports which were issued through travel agencies are being confiscated. The officials from County level, Township level and Village levels are going to each family who have obtained passports and they deceive the people by telling them that their passports need to be renewed and try to confiscate them. If the passports are not surrendered, the people are threatened that their government’s support (welfare) will not be provided in the future and that they may be in danger of being blacklisted or imprisoned. This is actually worse than robbing. Generally, according to the constitution of the People’s Republic of China, legal ID cards and passports can’t be confiscated by any person or organisation, this is stated on the passport. Therefore we have to protect our rights against those small local offices. 1. We need to immediately take pictures, write down and record the conversation with names and birthplaces etc. of the officials either from local, township, county or prefecture as proof. We can use this proof for legal cases. If there is no way to take legal action, we need to publicise this on social network sites in order to protect our rights. 2. According to China’s constitution, once the passport is issued, it is valid for ten years. During these ten years, no renewal or alterations are needed. As the officials come to deceive us, we need to secretly record this and prosecute them in court on the basis of deceiving the public and not doing their jobs properly and also this can be publicised on social media. Something that shouldn’t be forgotten is that the legal passport issued for you belongs to you and they (officials) can’t confiscate it, as per Chinese law. Therefore, we shouldn’t forget to take pictures and record the conversations with these officials who confiscate passports. Without this proof, the court won’t accept your case. There is no need to be afraid. There is the law and the public behind you. Therefore, you do not need to hand in your passport to those who engage in illegal activities. Make sure we don’t become their victims. What does this mean? Over a month ago, these Tibetans all got a passport; even though they only obtained one on the condition of organising a group to travel to Thailand as tourists, they were still very happy, thinking that for the next ten years, the passports would be theirs. But yesterday, they suddenly came to confiscate them. 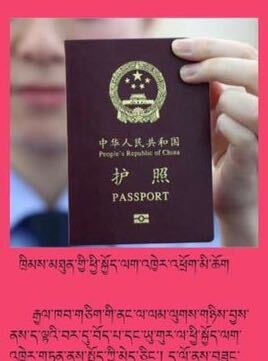 The Tibetans refused to hand them over, they really did not want to give back their passports; but they came back today, saying that they had to hand them back, so the Tibetans had no choice but to bitterly return their passports. It was like waking up from a dream. But what on earth does this mean? Are they just messing with people?